Sent from Heaven: Spread the word about us! 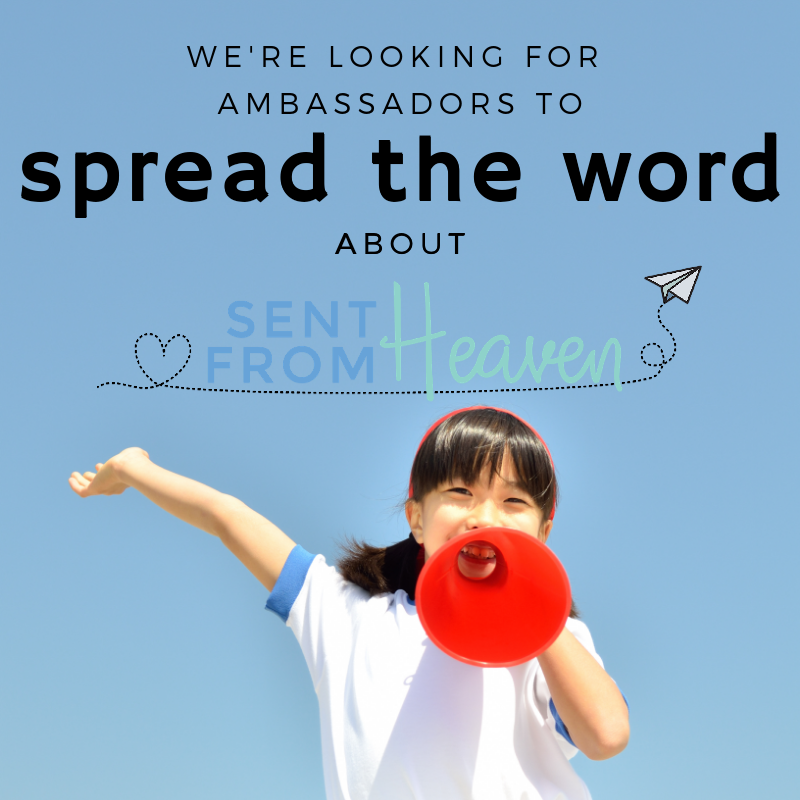 We're looking for Sent from Heaven ambassadors! What's that? It's a simple commitment to spread the word about us and what we do. The people we reach are wholly dependent upon word-of-mouth referral. We don't advertise anywhere and we're still working on getting our information in local hospitals. So YOU are our best way to spread the word about us right now. Bring it up in conversation with anyone you do business with like your hair stylist or barista. This could be as simple as, "Have you heard of the organization Sent from Heaven?" and then share what we do in a sentence or hand them our card. You don't have to share in all of these ways; you can just choose what suits you. The point is just getting the word out. If you'd like to be an ambassador, fill out the short form below and we'll get a stack of our business cards to you with some basic information about the organization for anyone who has questions. You'll also get insider information about us and tips for sharing about what we do.